The best birth control method depends on your health history, lifestyle, and future plans. Additionally, the birth control method that works wonderfully for your best friend, may not work the same for you. Finding the right birth control choice comes down to asking yourself some important questions. How Often Do I Want to Think About It? How Effective Do I Need My Birth Control to Be? The different birth control methods have varying levels of effectiveness in preventing pregnancy. Keep in mind that when birth control is used perfectly every time or two forms of birth control are used together (i.e. the pill and a condom or the diaphragm and spermicide), it will increase the percentage of effectiveness. Some of the most effective methods include abstinence, birth control implants and IUDs, and the shot. Less effective methods include condoms, spermicide, and the withdrawal method. How Soon Do I Want to Get Pregnant? Pill - When you stop taking birth control pills, your ovulation should typically begin within a few weeks. Patch, ring, or implant - When the birth control patch, ring, and implant are removed, fertility typically returns immediately. 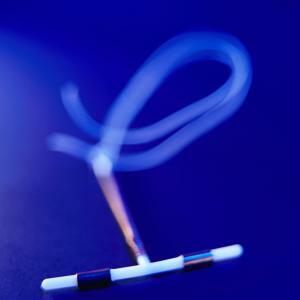 IUD - When the IUD is removed, fertility returns rather quickly. The uterus may need a cycle or two to recover after the IUD removal. Shot - The birth control shot can have a lingering effect on fertility. It is meant for women not intending to get pregnant soon. Fertility returns approximately 10 months after the last shot was given. Condom, sponge, or diaphragm - With the barrier methods, such as the diaphragm, sponge, and male and female condoms, you can get pregnant right away after you stop using them. Vasectomy or tubal ligation - Sterilization methods are intended to be permanent, but one to five percent of men and women change their minds and want a reversal. For women, the success rate of getting pregnant after a tubal ligation reversal ranges between 40-70%. For men, the success rate for pregnancy after a vasectomy reversal is between 85-97%. Do I Have Any Health Conditions? The birth control pill will cost up to $50 a pack without insurance and would total $600 a year. The birth control implant costs about $1300 to insert and $300 to remove. The total cost being $1400 but you are protected for three years. The birth control ring costs approximately $200 a month out-of-pocket. This would total $2400 a year. The birth control patch costs about $35 a month, which brings the total to $420 a year. The diaphragm costs approximately $50, and spermicides retail for around $15. Condoms are one of the cheapest methods available. There can be possible side effects with non-hormonal methods, such as the copper IUD. Rarely, these can include uterine perforation, IUD expulsion ectopic pregnancy, and pelvic inflammatory disease. Barrier methods like condoms can result in irritation and dryness, allergic reaction (especially if latex is involved), and rarely, toxic shock syndrome (especially with the sponge). Will My Birth Control Help With Other Conditions? If you suffer from severe PMS symptoms, acne, irregular periods, or ovarian cysts, you should talk to your doctor about whether using hormonal birth control might help. Hormonal methods may also decrease your risk of ovarian cancer. When choosing which method of birth control is right for you, it is always best to research and understand your options. You should then have an informed discussion with your doctor. Together, you can decide which birth control method is best for you based on what your individual needs may be.